Utilizing timber industry skills to restore our rivers. 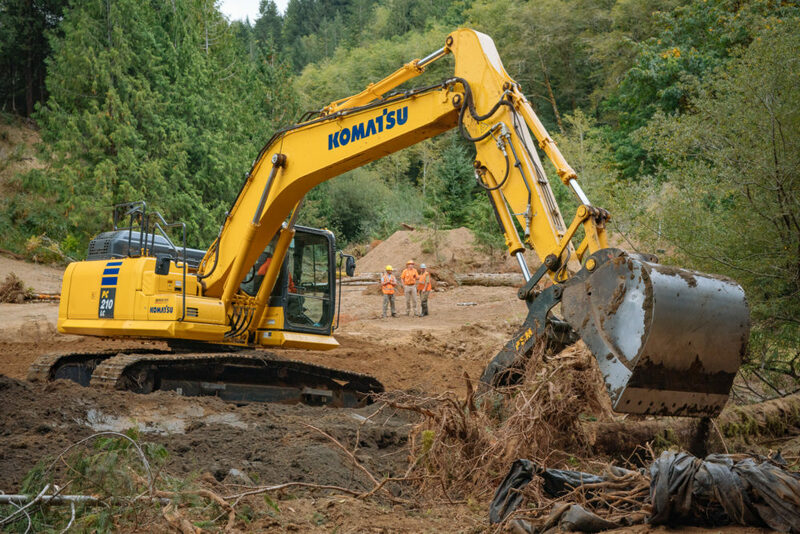 Restoration projects within the Siuslaw watershed may include one or more of the following restoration activities that restore watershed health and habitat. A culvert is a tube or tunnel that channels water to flow under a road, railroad, or trail from one side to the other. Culverts and bridges can provide safe and stable stream crossings to accommodate wildlife and protect stream health while reducing erosion and structural damage. However, undersized and poorly designed culverts can cause severe scouring and erosion and restrict aquatic and terrestrial organisms from being able to move freely between upstream and downstream habitat. 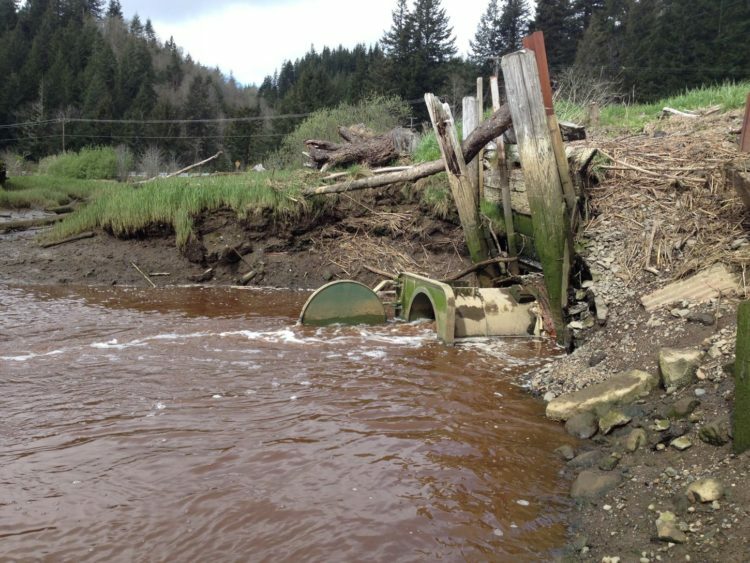 Furthermore, poorly designed culverts won’t last as long and will need replaced more frequently which can be costly to infrastructure upkeep. 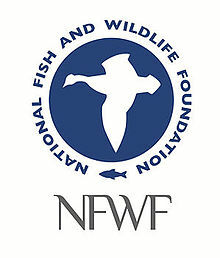 Fish are a victim in the loss of habitat and loss of access to habitat due to poorly designed crossing structures. Upgrading culvert infrastructure to be adequately sized and placed increases connectivity of instream habitat, while improving water quality through erosion reduction, and can open additional coho habitat above passage barriers to improve access to successful spawning and rearing habitats throughout. 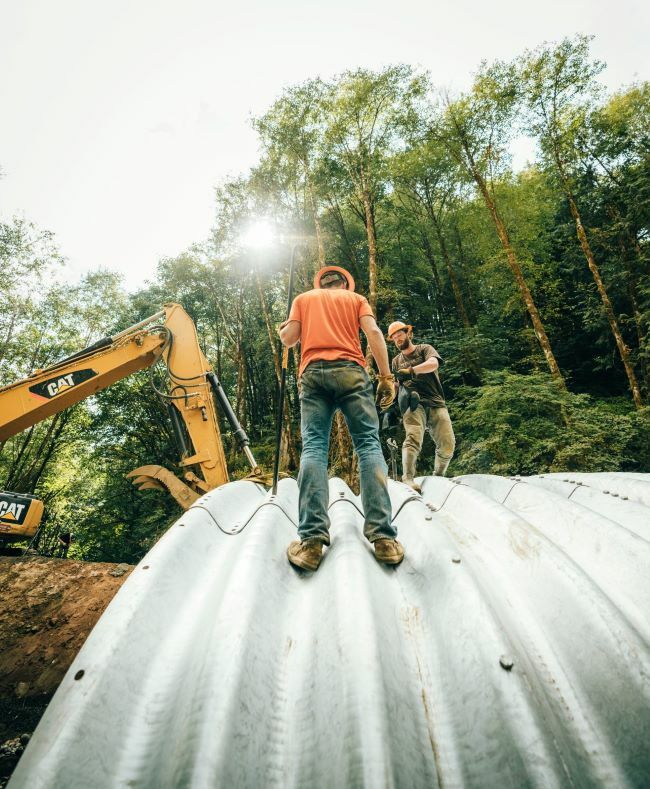 Culvert replacement projects consist of removing the inadequate culvert and replacing it with a new structure such as a bigger culvert, open-bottomed arch, or a bridge. The new structure is designed to allow for the natural flow of water, sediment, debris, and terrestrial and aquatic organisms through the structure. 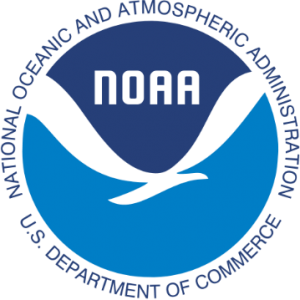 In addition, such projects often include other elements of habitat restoration, such as the creation of a more natural streambed through the structure, large woody debris placement, and planting native vegetation in nearby riparian areas. Riparian vegetation plays an essential role in producing and maintaining coho habitat. Riparian plants provide shade and create cover for coho salmon rearing. Streamside shrubs, trees, and other plants filter out pollutants and trap sediments, nutrients, and bacteria before they can enter the stream. 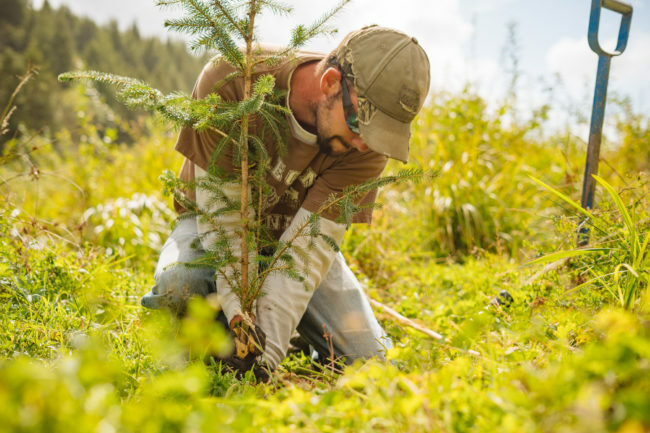 The plants absorb pollutants, such as nitrogen and phosphorus, that would otherwise enter the stream through groundwater flow and help stabilize sediment supply and reduce turbidity. Riparian plantings also affect both stream flow and water temperature. Well vegetated stream banks help keep streams shaded and cool. 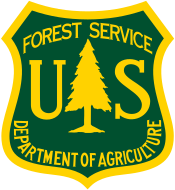 Forest shade has substantially decreased along the Siuslaw, its tributaries, and the Coastal Lakes due to land-clearing for agriculture and removal of streamside trees. The removal of riparian trees in the stream corridor and building of roads in floodplains have also reduced shade. Adding riparian native plantings back to affected areas will increase shade and thereby reduce and regulate stream temperatures. Riparian plants can also slow stream flow in times of heavy storm events resulting in lower runoff and less bank erosion. 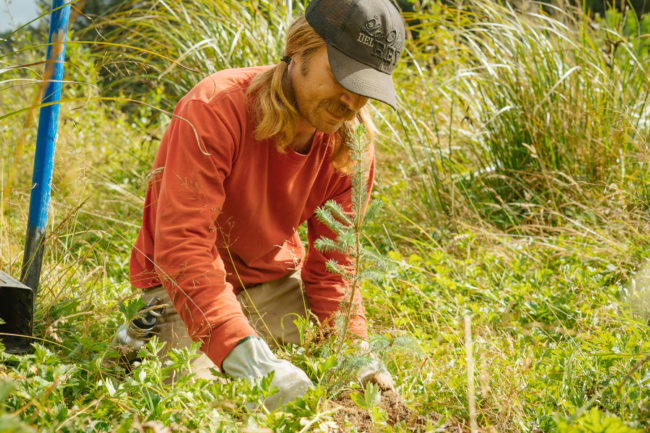 Native plants add biodiversity and provide a source of food and nutrients to local wildlife. Trees and shrubs also provide a source of stream complexity. Eventually, as these trees die and fall in streams, they provide for a future source of woody debris habitat for salmon and other fish. Restoration efforts focused on streamside vegetation are a major component of every SWC restoration project. 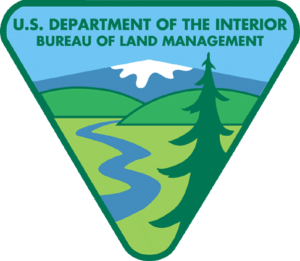 The SWC partners with landowners for responsible land management to add or replace fencing along riparian areas to limit access of livestock to entering nearby streams or grazing important native vegetation along streambanks. Unrestricted grazing in this crucial riparian zone can damage native plants, compact soil, and cause bank erosion over time. Native plant ground cover is an important element to bank stabilization. Maintaining ground cover will increase water quality, reduce runoff rates and aid infiltration of bacteria, nutrients and sediment. Limiting riparian grazing additionally helps native plants stay protected from browse and other damage, ensuring a well shaded stream in the future with a natural filter. Constructing a riparian fence creates a buffer zone between pasture and the stream. This helps stabilize stream banks, improve native vegetation cover, reduce erosion-induced sedimentation, and reduce pollutants in the water. 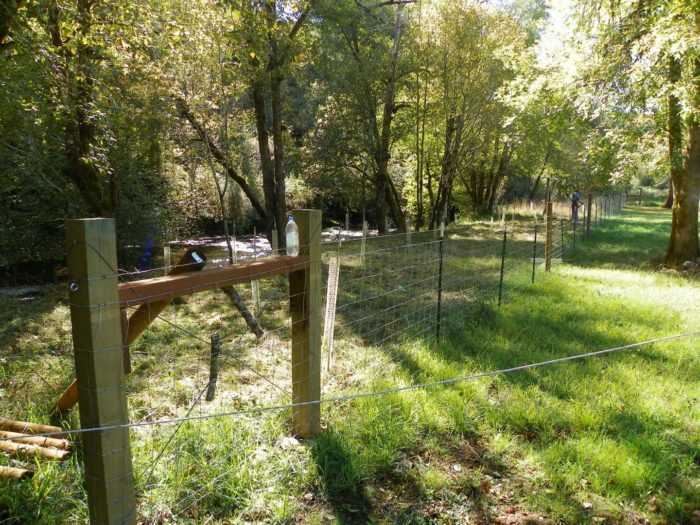 Additional benefits from riparian fencing include: improving aquatic fish and wildlife habitat, improving livestock health, reducing runoff and sediments, provides nesting cover in buffer zone, and can improve aesthetic qualities potentially increasing property values. Salmon seek out different types of habitat during their residency in the Siuslaw and Coastal Lakes watersheds. Key habitat conditions that support salmon during different life stages ─ as eggs in the gravel, small juveniles in tributary streams, and then as larger migrating fish ─ are essential to their ability to survive and reproduce. During their freshwater juvenile life stage, the fish seek out quiet areas such as side channels, alcoves, and scour pools resulting from log jams and boulders, and backwater pools created by beaver dams. These provide shelter and calm water important for survival of juvenile coho in the winter, when high water flows and velocities are common and food supplies are limited. These complex habitats also provide critical cold-water refuge in the summer, when low water and high temperatures are prevalent in many parts of the system. The lack of instream complexity is the primary limiting factor for Coho salmon in the Siuslaw. 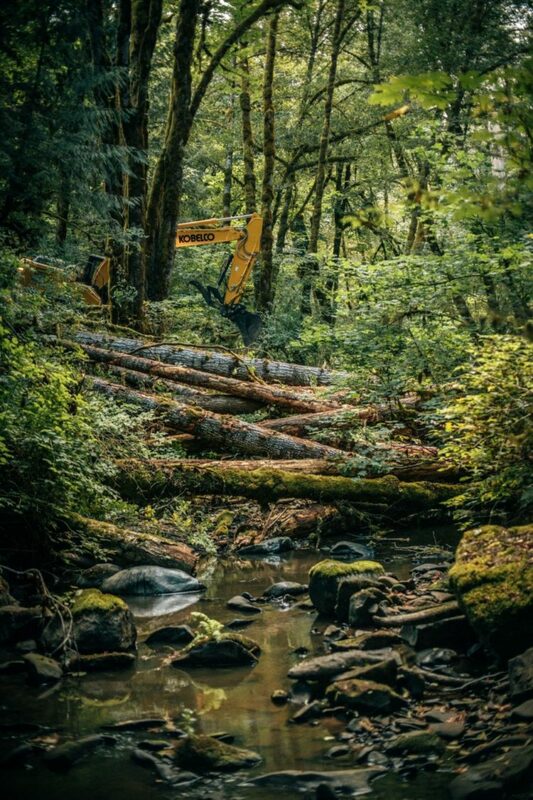 Historic timber harvest practices, removal of woody debris, use of streams for transportation, and agricultural practices have severely altered our local streams. Adding Large Woody Debris (LWD) structures back into a stream supports natural processes which develop complex channel features and restores stream interaction with side channel habitats and floodplains. It increases pool area and depth, slows water velocity, traps and sorts gravel and fine sediments, and facilitates floodplain inundation. This large wood also traps small debris that supplies habitat and nutrients for other aquatic macroinvertebrates, increasing the cover and food supply for fish and wildlife. In addition to habitat benefits, adding LWD to a stream can increase the flood storage capacity and therefore may reduce flooding effects downstream of these restored areas. Due in part to historic tidal wetlands, the Siuslaw River was once one of the most productive salmon fisheries in Oregon, second only to the Columbia River. 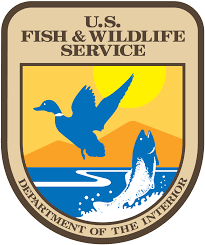 Less than 40% of the Siuslaw River’s historical tidal wetlands remain due to dike/levee construction, restricting tidal flow with tide gates, and other site alterations or processes such as dredging. Reconnecting and protecting these disconnected tidal wetlands promote the availability of off-channel and winter rearing habitats for juvenile coho salmon. 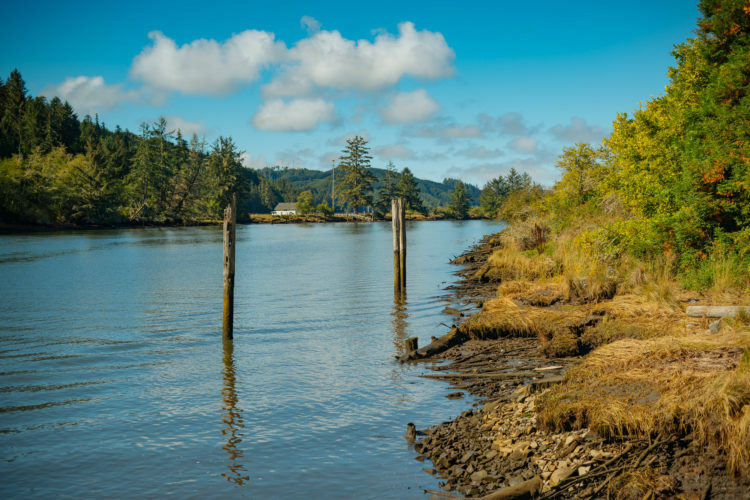 The estuary is vitally important to Siuslaw Coho life history, and provide for many of the habitat needs of Coho salmon. Many side channels have been hydrologically modified or obstructed by the installation of tidegates and the construction of levees. Tidegates allow water to flow in one direction and close automatically when the tide is in the opposite direction. These structures impede the movements and migrations of fish. Tide gate restoration includes projects that remove tide gates completely or replace them with fish-friendly designs. Levees (embankments or shaped mounds constructed for flood control) create hard linear surfaces along stream banks. Erosion and flooding in areas directly adjacent to levees are reduced, but an unnatural riparian area is created that reduces habitat use by salmon. Levee construction may also increase flooding elsewhere by raising water levels in floods. These structures disrupt shoreline processes, flow regimes, and dramatically reduce habitat extent. Levee removal re-connects the stream to its floodplain and reduces stream velocities by dissipating sediment and water over the floodplain. To promote greater interaction between a stream and its floodplain, projects which would reconnect this access and improve water quality include both tidegate and levee removal. 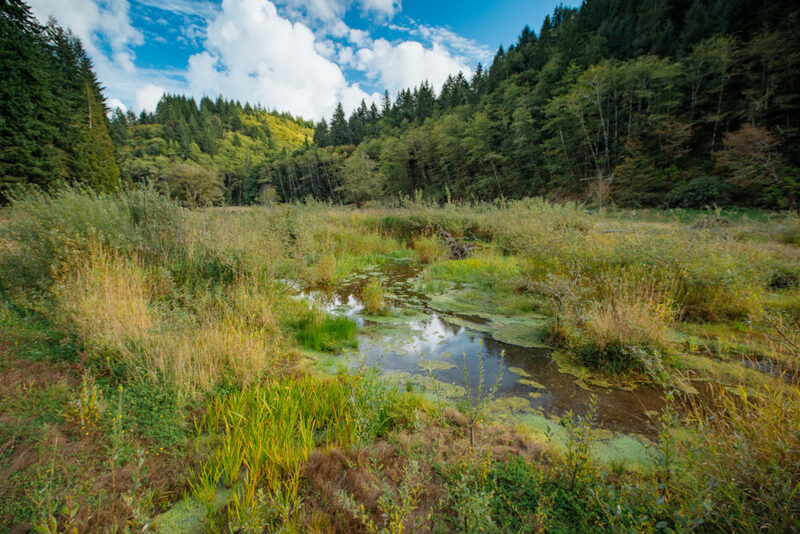 Valley form, width and the availability of connected floodplains and wetlands play a significant role in retaining water in the Siuslaw Watershed longer into the dry season. In the late 1800s the low-gradient, wide valley bottoms with highly sinuous streams moving back and forth were some of the first areas settled. With settlement came stream modification to accommodate timber production, agriculture and livestock grazing. Diking, draining of wetlands, straightening of creeks, building access cut-off roads, and removal of large wood all contributed to the loss of stream habitat. The era of draining floodplains and building defenses from floods resulted in straight, less complex, and highly incised channels. Restoring streams to their more historic meandering configuration and reconnecting them to their floodplain make them more resilient, allowing them to work with, rather than against, the natural processes of flood and drought that occur. The complex interaction of watershed processes governs the location, extent, and quality of both in-stream and off-channel habitats that coho need to survive and thrive. This type of whole-valley approach to habitat restoration includes not only aquatic habitat features but also includes specific design elements such as stream regrading and reconstruction, invasive plant species removal, re-establishment of native plant species, renewed managed stand productivity and diversity, large wood additions, and wildlife habitat creation. Restoration activities can also include decommissioning of old/unused roads, culvert or tidegate removal, levee or dike removal, or other activities that restore riparian function, hydrologic functionality and water quality.